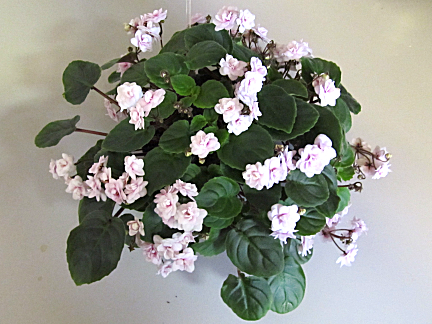 Click on a thumbnail image below to see a larger image of that trailing African violet. 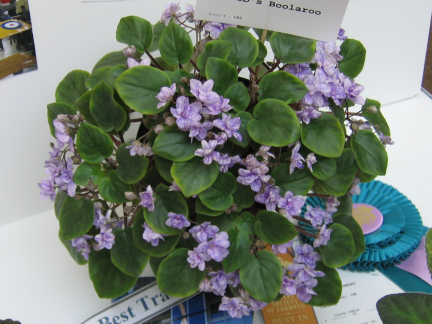 What is a Trailing African Violet? 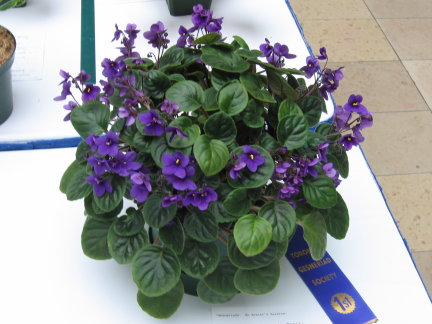 A trailing African violet is the product of interbreeding modern hybrids with some species from Africa that had naturally trailing tendencies. Today's hybrid trailers easily put forth multiple crowns without looking overcrowded in their pot the way conventional violets do when they grow multiple crowns. 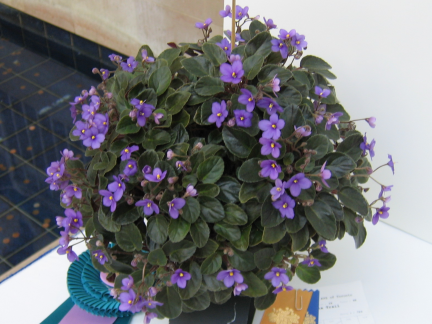 When entered in a show a trailing African violet must have a minimum of three crowns. Often they will have many more and many of these will be branching from older crowns. They need a fair bit of attention to keep them looking their best. They come in the same sizes as single crown African violets: standard, semiminiature and miniature. The semis are the most common and the ones you see exhibited on the right are all semis.